Check out the best kitchen knives we’ve found and learn how to choose the best set to suit your needs. ​Whether you’re learning to cook or an avid culinary enthusiast, a good set of knives is an invaluable kitchen tool. Sharp, well-balanced knives are essential to cutting and prepping everything from fresh produce to roasted meats. But, there are a lot of options for kitchen knives and can become overwhelming. ​Finding the best kitchen knives isn't a one-size-fits-all approach. Professional chefs and home cooks are aware of this. With a multitude of materials, styles, and pieces to choose from the options seem almost endless. ​Luckily, we’ve broken down what to look for in a good knife set. Below you’ll find our top 7 best kitchen knives so you can pick out your cutting utensils with ease. comes with a lifetime warranty and you can send them to the manufacturer for sharpening should they ever dull. Customers love the razor sharp edge that these knives can hold and their simplicity of design. made out of high carbon German steel and feature a full tang, triple riveted design. features a full tang design and an ergonomic handle. ​To start things off, we review each product to make sure it meets our quality standards. To ensure that we’re giving you the best information we can, we based our ratings on a variety of criteria. While a good brand name isn’t everything, it'll give you peace of mind when investing in a good set of kitchen knives. Brands boasting excellent customer service and high-quality products will always receive top ratings from us. ​Customers have tried and tested these brands and thus gained an excellent reputation. These brands can also perform well in a wide variety of situations. Also, you will notice that some of these brands make the best food processors and cookware set to name a few. ​We read numerous reviews and testimonials to ensure that customers have good experiences with the products we recommend. It is essential that companies provide not only a great product, but also excellent customer service. It’s no secret that some of the best kitchen knives come with a staggering price tag. We look carefully at the construction of each blade and the materials it's made of. This is to ensure you’ll get your money’s worth. ​Using our particular rating system, we have put together the following list of useful quality knife sets. Our first selection comes from the well-known creator of kitchen tools, Cuisinart. Like any other Cuisinart product, these knives are well suited for home cooks of any skill level. As a bonus, these knives have colored handles providing a burst of color to any kitchen. This colorful and reliable knife set comes with a wide variety of knives for any job in the kitchen. These stainless steel blades with ergonomically shaped handles are comfortable in your hand. Also, these knives are durable but still light enough to prevent wrist and hand fatigue. Included in this set, you’ll find both small, large, and serrated knives. Also included are a knife hone and a sturdy set of kitchen shears. This set has an attractive wooden knife block that holds the pieces to keep your kitchen organized. Overall, this knife set gets a solid 5-star rating. It is pleasing, has excellent customer reviews, and provides excellent value for its price. If you are looking for a knife or knife set that’s appropriate for either a home cook or a professional chef, you’ll love this 7-piece set by Wusthof. While this set has a relatively high price point, Wusthof is a brand well loved by chefs the world around. The knives in this classic 7-piece set are all made in Germany and are excellent for precision cutting jobs. Like other knives in this list, they designed the Wusthof blades with a full tang and made of high-quality carbon steel. Included on these knives is a bolster to maximize balance and how the comfortable the knife feels in your hand. Although Wusthof has been crafting knives since the 1800s, this set utilizes their newest Precision Edge Technology (PEtec). Thanks to this advancement, new Wusthof blades are 20% sharper than previous editions and will hold their edge twice as long. In addition to the superior quality found in their products, Wusthof also boasts incredible customer service. Customers have few complaints about these knives, and the company is well-known for helping out customers who do encounter unexpected issues. Combining all of these factors, we gave this set 5 stars. You may be familiar with this brand if you spend your free time in any respectable kitchen department or store. Chicago Cutlery is a reliable name in the knife industry, and in recent years these knives have become increasingly easy to find. This particular set is excellent for people looking for an “all-inclusive” knife cutlery set. While 18 pieces may seem like a lot, this set will not disappoint when you’re having a dinner party or prepping a large meal. The Chicago Cutlery Fusion 18 piece set comes with straight-edged, serrated, and santoku knives for a wide variety of projects. Also, this set boasts eight steak knives with an attractive stainless steel design. 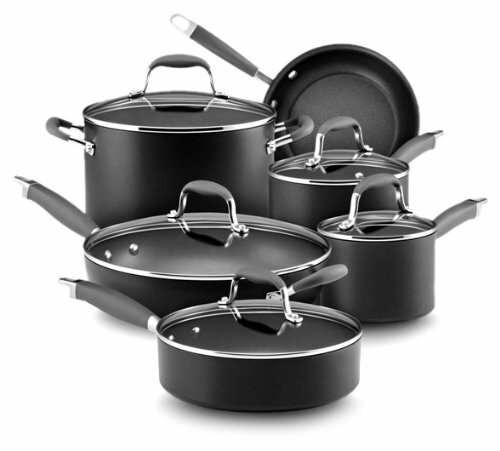 As with the Cuisinart set above, this set ranked with five stars. These knives will hold their edge well, resist stains, and have excellent customer reviews. Features a Taper Grind Edge Technology giving each knife a long-lasting edge. The handle has a soft grip design providing comfort and confidence in handling. Unlike the other knives on this list, these Kyocera knives are not high-carbon German steel blades. In fact, these knives are not made of steel at all. Crafted from a proprietary ceramic formula in Japan, these knives are as sharp as they get. It’s true that ceramic knives are brittle when compared to traditional steel ones. But, it’s also true that ceramic blades start out and remain sharper than other blades. Also, this type of knife is typically much lighter when compared to a steel knife. Kyocera knives are well-balanced and perfect for home usage. One disadvantage of owning a set of ceramic knives is that you cannot sharpen them at home. However, this set comes with a lifetime warranty and you can send them to the manufacturer for sharpening should they ever dull. Overall, customers love this knife set and enjoy their sharp edges. We rate this set to 4.9 stars. Razor-sharp edge retention, excellent durability that is rust proof and easy to clean. ​This knife set from the well-known KitchenAid brand is a high-quality German carbon steel. Customers love the razor sharp edge that these knives can hold and their simplicity of design. These KitchenAid knives are classically forged and ergonomically designed. Also, the tang extends through the entire length of the handle and is triple riveted for added security. This set includes many useful knives contained in a stylish yet straightforward knife block. For added convenience, they included a diamond grit sharpener on the knife block. When shopping for the best kitchen knives around, customers reviews reveal that this set is worth considering. We give this great set of knives 4.8 stars for quality, customer satisfaction, and design. ​Although this brand is not as well-known as some of the others on this list, this small knife set is an excellent fit for many kitchen connoisseurs. Providing customers with excellent value for cost, the Deik 6-piece Knife Set makes easy work of any food preparation. Included in this set you will find, an 8-inch chef’s knife, an 8-inch carving knife, and an 8-inch bread knife. In addition to these three knives, a 5-inch utility knife and a 3.5-inch paring knife complete this set. All of these knives are high carbon German steel and feature a full tang, triple riveted design. Despite the limited number of knives in this set, customers find this knife set to be a high-quality investment. The blades are well-balanced, durable, and fit neatly in the included non-slip knife block. This set gets a 4.5-star rating just because we could not find out much about the company’s customer service. However, considering the high-quality of these knives, you may never find yourself in need of customer service. Not dishwasher safe. Keep dry and clean after every use, use non-abrasive cleansers, and soft towels for wiping down. ​Next on our list is another 6-Piece set. Similar to the other knife sets on this list, the Mercer Culinary Genesis knives use high-quality German steel. Additionally, these knives feature a full tang design and an ergonomic handle. As a stand out feature, the Mercer Culinary Genesis knife set comes with a somewhat unique knife block. Unlike traditional knife blocks made of wood, this block features a narrow design made of tempered glass. Upon first glance, this knife block looks sophisticated. But, some customers report difficulty keeping the block clear of dust and debris. While this brand is not well known, these are well-made and stand up to the test of time. We’ve given this set a 4-star rating as the most common complaint of these knives is rust on the blades. Glass see-through windows makes it easy to find the right knife. Each knife has a bolster for more strength and balance, resulting in better handling, and protection for fingers. Features a high carbon, non-staining German steel resisting rust, corrosion, and discoloration. ​After reading through our top 7 list, you may have some ideas of what you’re looking for in a knife set. On the other hand, it may have opened your eyes to just how many options are out there when you’re searching for a new set of cutlery. Below you’ll find some tips to help you decide what kind of knife or knife set is best for you. ​Our number one tip for buying new knives is to try them out before you buy them. Most good quality kitchen supply stores will have an area where you can test out the knives you’re considering buying. However, if you’re shopping somewhere that doesn’t allow you to try the blades out, just make sure that they have a decent return policy. ​When trying out a knife, you want to make sure that it feels comfortable in your hand. If the handle does not fit in your palm well, you will not enjoy using your knives. Usually, each blade in a set comes with the same handle. So, find a handle you like, and that is comfortable for you. ​After you have discovered a handle design that feels comfortable, make sure that the knives feel well balanced. Most western style knives include a bolster to add weight and balance. But, the presence or lack of a bolster does not guarantee that the tool will feel well-balanced. Buying a well-balanced knife will reduce hand and wrist fatigue when working on large projects. ​A good set of knives is an investment, and the blades you choose should last you a long while. High-quality carbon steel and stainless steel are good options that are easy to maintain. However, be sure to follow any manufacturer instructions when caring for your knives. This step will keep them usable for the maximum amount of time. ​Also, take into consideration how easy the knives will be to keep sharp. Some materials hold an edge better than other materials. Learn how to sharpen your knives, or find out where you can have them sharpened. ​If you decide to invest in ceramic knives, remember that they are more brittle than steel knives. But, they will typically hold a sharper edge for a much longer time. If the set you choose doesn’t come with a case to keep them safe, consider investing in one. Choosing the best kitchen knives for your home or career can be challenging. However, when you know what to look for, you can find blades to suit your needs. You will find them at a wide variety of price points. Take your time choosing a set, and you will love it. Always in a hurry? If perfecting your knife work is not a priority, then check out our review of the best mandoline slicers. They say it makes cutting ingredients consistent and easy peasy.